The HRC Grands are two semiannual International Grand Hunts conducted by the Hunting Retriever Club, Inc. International Grand Hunt Committee at selected host HRC Club locations. This hunt test is for Hunting Retriever Champions (HRCH). It duplicates actual hunting conditions found throughout the country. The successful completion of two of these Grand tests will qualify a Hunting Retriever Champion for the UKC title of Grand Hunting Retriever Champion (GRHRCH). For participating in the Hunting Retriever Club's International Grand hunts the premium requires that you have read and understand the information contained in the premiums. All current premiums can be found on the Hunting Retriever Club website. View the Hunting Retriever Club's website. The HRC International Grand Hunts are open to all Hunting Retriever Champions owned by current HRC members. Entry Forms: must be made online via HRC's online entry system. The participant must enter before the posted deadline to be eligible for entry in each Grand Hunt. Acknowledgment and acceptance of the terms and conditions of refund policies. 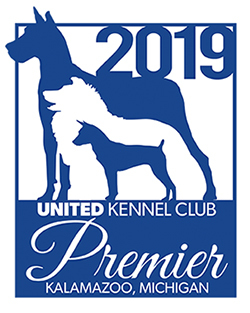 Eligibility - It is the owners responsibility to ensure that: 1) his/her dog is eligible to be entered (has earned HRCH); 2) the Owner listed is the Registered Owner on record with UKC; and 3) both the Owner and Handler have provided HRC Membership numbers and both must be valid as of the entry deadline date. To renew your membership online, visit the UKC store. For all rules, premiums, and event details, visit the Hunting Retriever Club website.